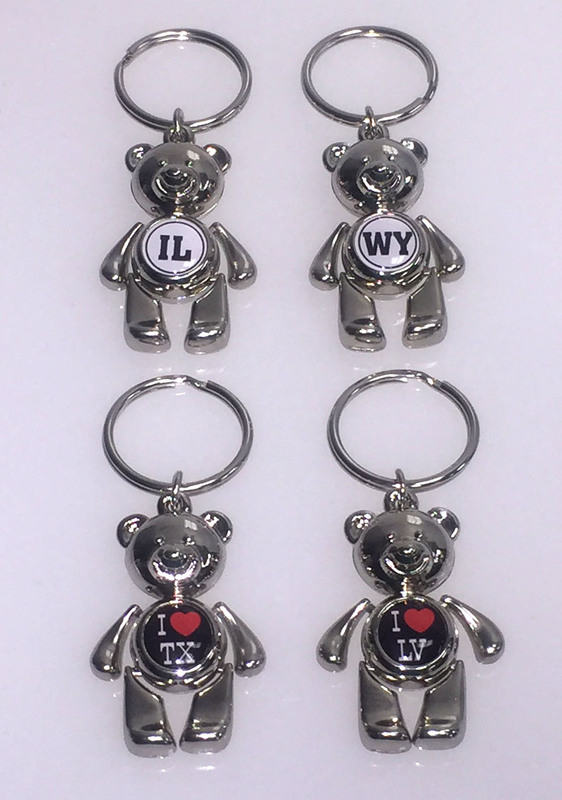 Our Teddy Bear Key Tags with moving arms and legs are made from zinc alloy and are nickel plated. They measure 1 3/4" by 3/4". Normally, similar items are done only on a direct import, but we are stocking these in the USA and decorating ourselves to be able to offer smaller quantity orders with fast delivery, but of course we can do import quantity orders domestically as well. The dome area is small, about 7/16" so the logo must be kept simple. Mix and match with the magnets to reach any quantity level.